How Many Solar Panels Would It Take to Power The Entire World? After seeing how many nukes would it take to obliterate humanity instantly, I wanted some good news. Like, how many solar panels would it take to power the entire world? The entire surface of Africa, maybe? Actually, it's surprisingly less. Just 496,905 square kilometers. 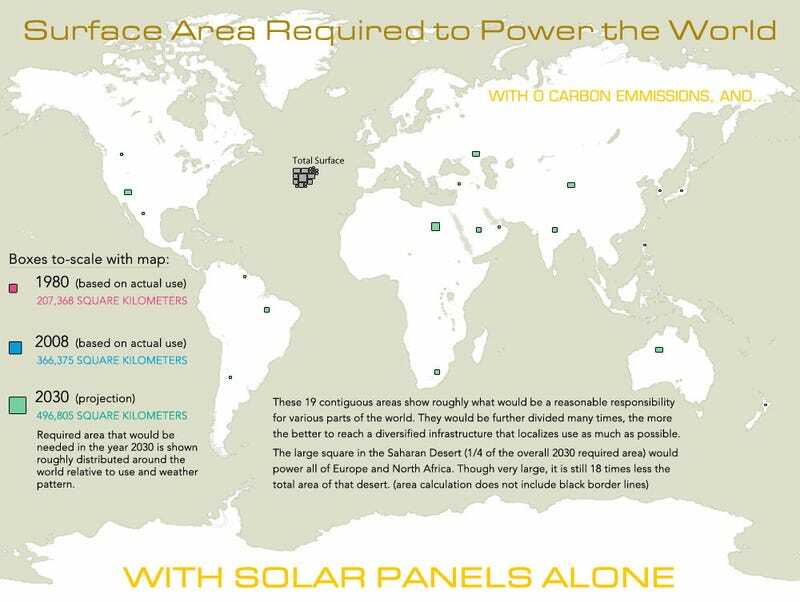 That's really nothing compared to the total world area: Less than the surface of Spain (504,030 square kilometers) covered with solar panels, distributed across deserts and areas with almost 24/7 sun, all year around.